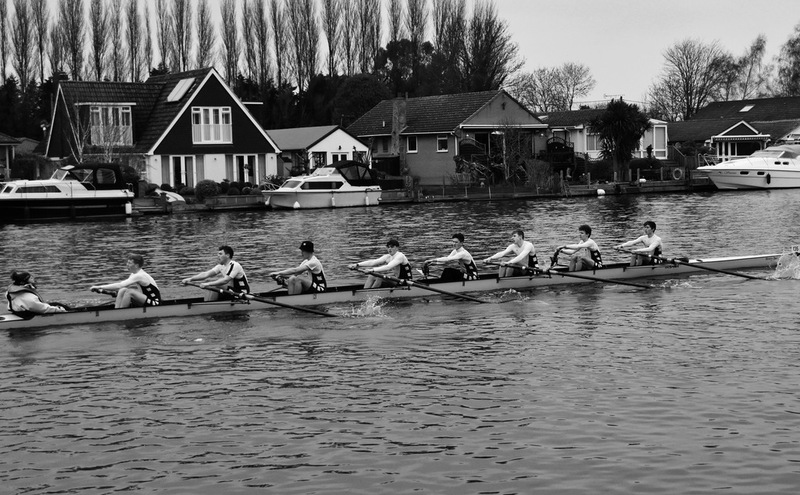 BBRC took 5 crews to the Scullery Head at Eton Dorney. 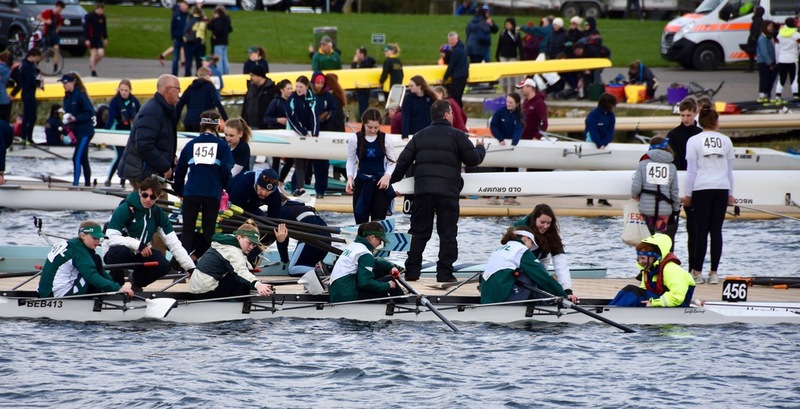 There were over 570 junior crews ranging from J14 to J18. The conditions were challenging at times, we had a raging Head Wind in one direction and a raging Tail the other, a touch of rain, and some welcome sun in the afternoon. 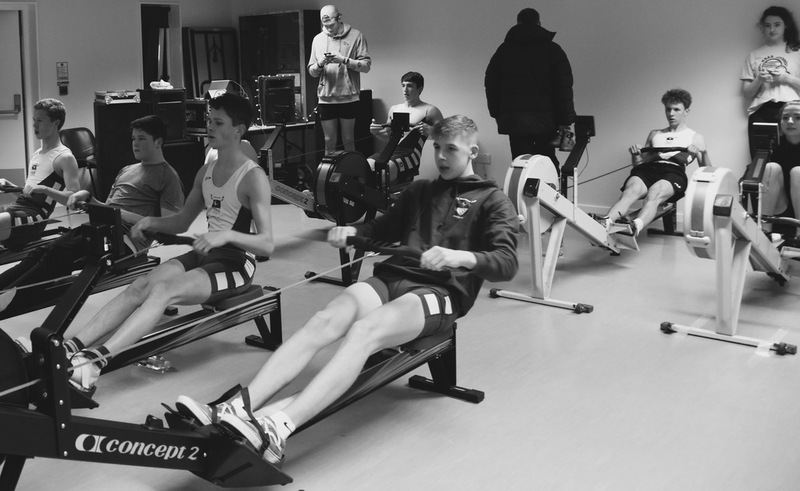 The crews raced 'back to back' X2 1800 meters, the times were put together for a final time. 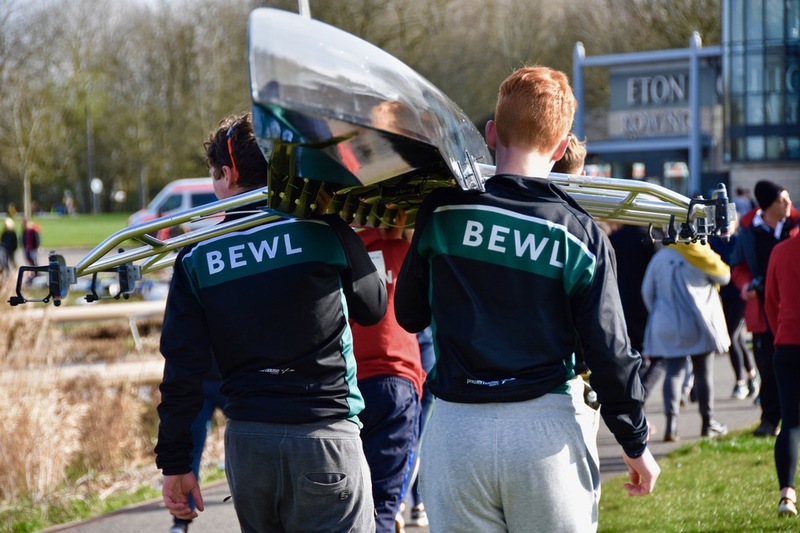 The juniors gained much experience in taking part in such a large well organised event, competing against the best crews in the country. The crews handled the conditions well, and coped with manoeuvring around so many boats. Well done, lots to build on. A total of 66 boats took part in the Molesey Veterans Head on Saturday 16th February with four crews from Bewl, comprising two composite eights: Tideway Scullers/Bewl Bridge MasEF 8+ (Lawrence Williams, Jan Koops, John Boucher, Simon Barratt, Neil Ellwood with cox Margaret Lloyd-Roberts) and MAABC/Bewl Bridge MasGH 8+ (Colin Cracknell, Roger Menteath, John Whitty) and two quads: MxMasD 4x+ (Ian Bailey, Diane Sephton, Louise Allen, Mark Garraway with cox Liz May) and a MxMasEFG 4x- (Annie Grant, Richard Snowden, Rowena Suthers, Chris Nugee). Conditions were good with a slight breeze and a comfortable temperature of around 10 degrees. 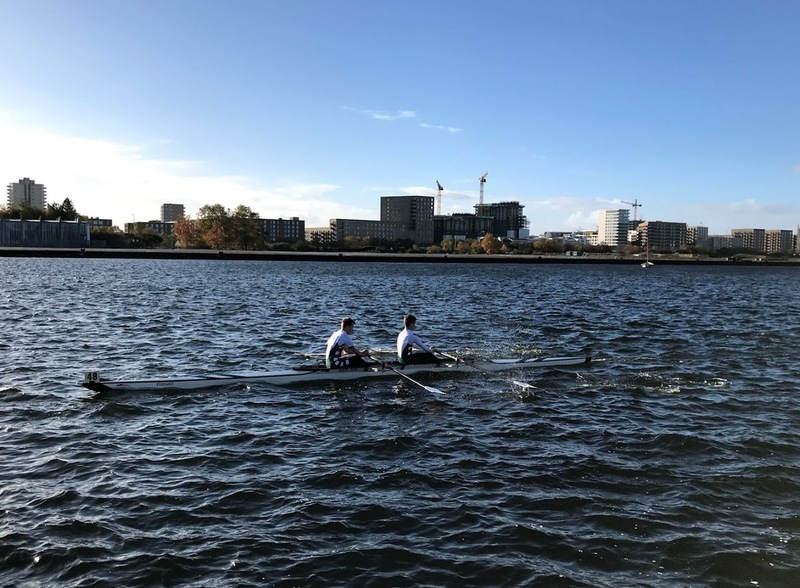 All the crews put in an excellent performance with MAABC/Bewl Bridge eight coming in 2nd place in their category with an impressive time of 11.00.6 (adjusted to 10.39.6) and a 1st place for MxMasD 4x+ (12.31.2) and a 1st place for MxMasEFG 4x- (11.24.0). Excellent organisation and welcoming hosts at Molesley RC and as with tradition, once the boats were loaded everyone retired to the boat club bar for the usual fantastic choice of cakes and refreshment. What a fun evening of dancing. A few pictures to capture the atmosphere. Thank you to the Ceilidh team, especially Lindsey, Lucy, Faye and Sandra. 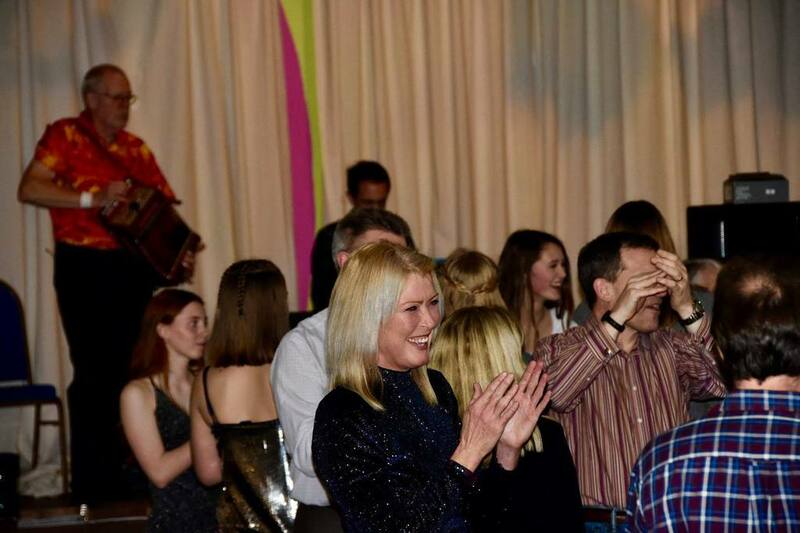 And our Ceilidh band 'Dance on'. 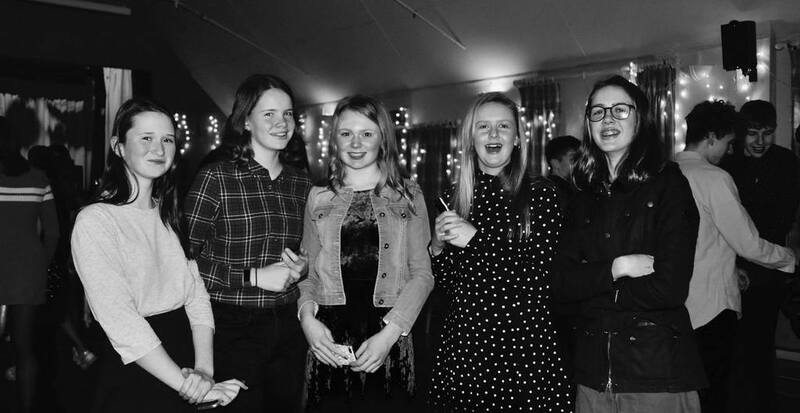 Everyone had a great evening, lots of dancing and laughter. 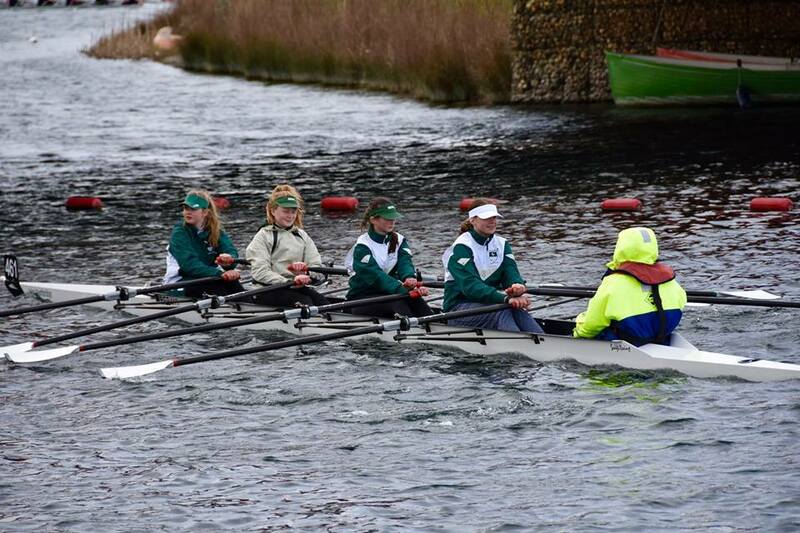 A very cold, dull day, but conditions for rowing were good. 3000 metres of flat water along a lovely stretch of the Thames. 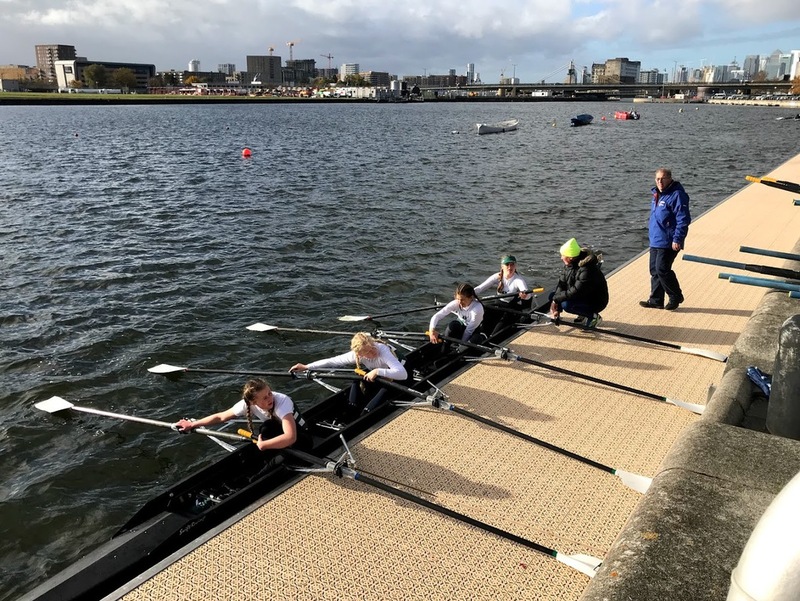 BBRC had 15 crews racing on the day, master's and junior's. A good day with some promising results. 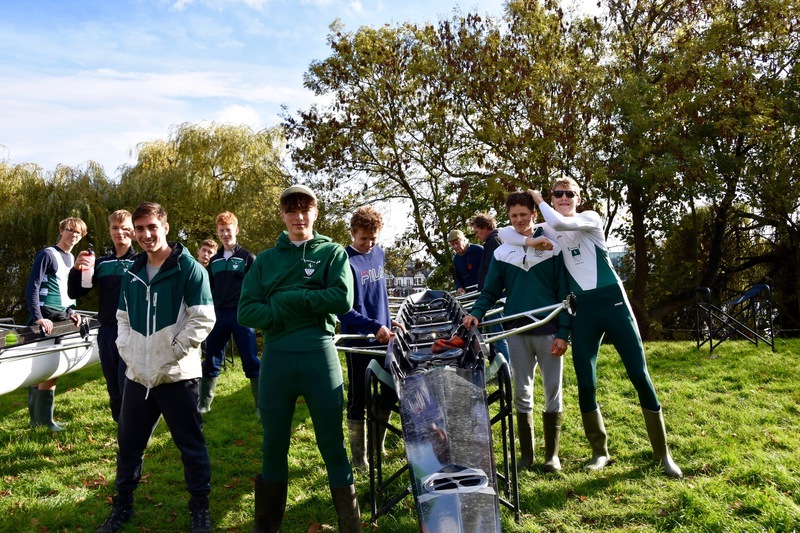 Our J18 8+ Thomas, Alex, Alex, Jontie, Ollie, Finn, Nico, Tim, coxed energetically by Saskia came 7th overall in the Head of 238 crews, in a time of 10:34. WJ16 4X- Susie, Rosie, Sarah, Tess; J16 2X Jontie, Ollie; WJ15 2X Biba, Jess. We also had a couple of 3rd's and 4th's in a competitive field. NICK 7th in 2000m event, in a field of 67 entries. KEYAN GOLD MEDAL in the 500m event, in a time of 1.23.6. JESS 8th in the 500m event, in a time of 1.46.8. BIBA GOLD MEDAL in the 4 minute event, 4th in the 500m, missing out on a medal by 0.2 sec. SOPHIE 9th in the 4 minute event, of 95 entries. 11th in the 500m event. 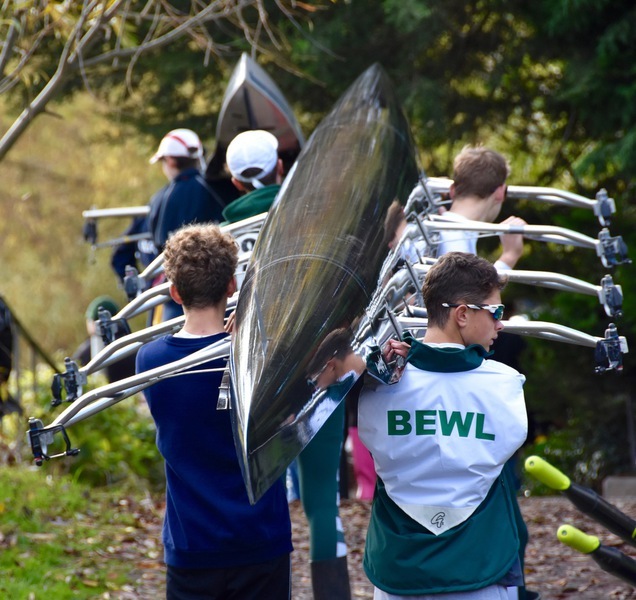 In 2015 we set about a fund raising campaign, and raised enough to buy 2 Junior doubles, 2 ergo's, a Junior coxed quad, blades, and refurbishment of some doubles and quads, with the added assistance from the Rowing Foundation and the National Schools Regatta. These boats boosted the morale of our Juniors, who are now able to train in a bigger fleet of boats and race more competitively. 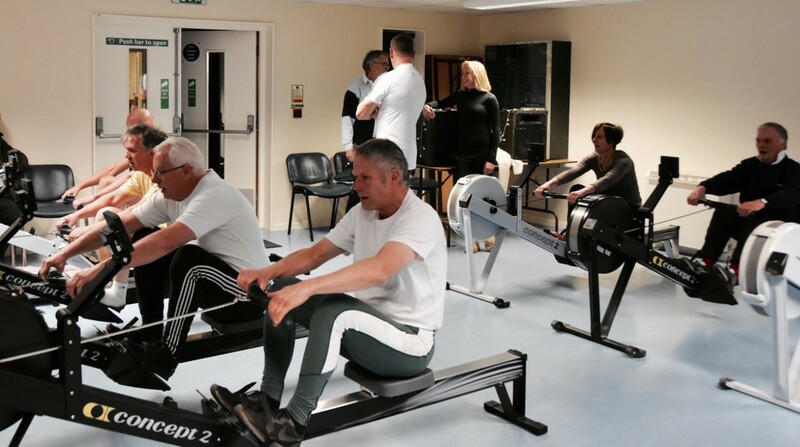 SUNSET2SUNRISE2 15th December 2018 continued our fundraising campaign, with a target of purchasing 2 Ergo’s and 2 Junior sculling boats and a Master’s sculling boat. 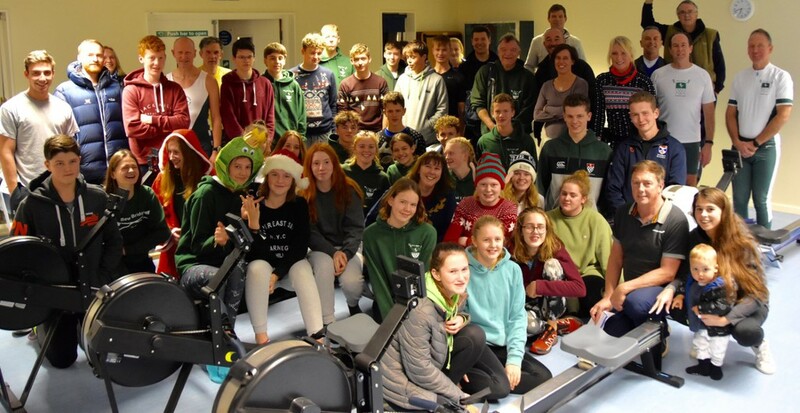 This was a truly whole club event with 71 members taking part, bringing Juniors, Students and Master Rowers together, creating a great club atmosphere. We decorated the venue with club photos, tinsel, and a Christmas tree, creating a Christmas party vibe. 20 Master Rowers arrived at 17.30hrs for their hour’s slot of keeping 9 Ergo’s going continuously. 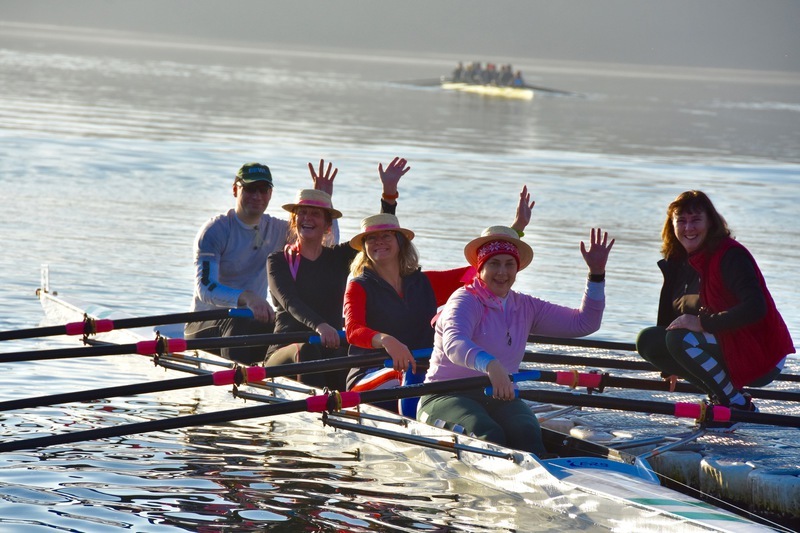 Our fabulous senior cox of many decades, Margaret, “coxed” the event with great vigour and enthusiasm. 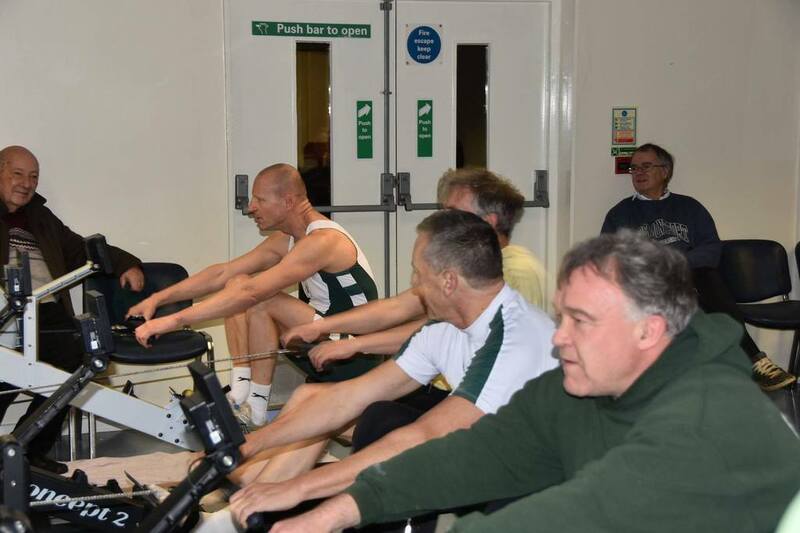 Many of our Masters have been rowing for over 40 years plus and thoroughly enjoyed taking part in our Masters Club Challenge. Congratulations to our Master Squad that completed 123000 metres in their 1Hour Challenge. At 18.30hrs the Overnight Challenge registration took place followed by a Club photo. 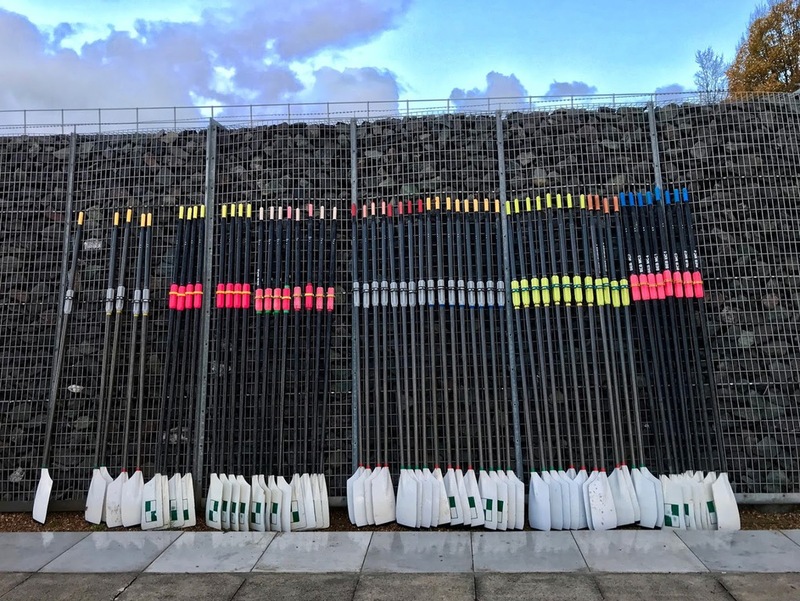 The Junior Rowers settled themselves into the quiet room equipped with sleeping bags, pillows and food/water provisions for the night. The room looked like a mass sleepover. There was great excitement, music, singing and ergo enthusiasm. The Overnight Challenge started at 19.00hrs. 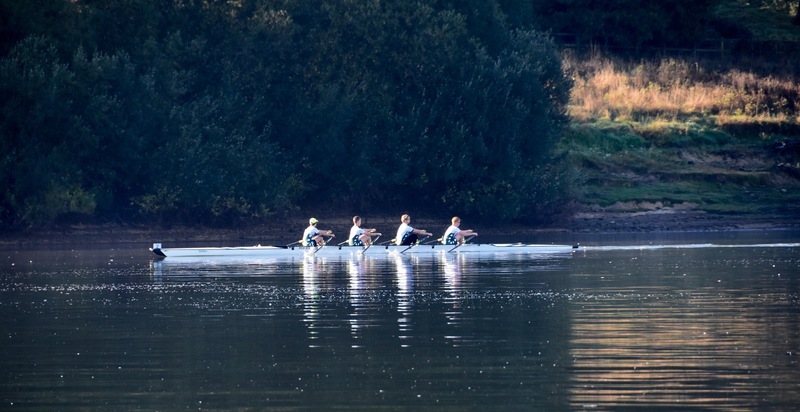 Teams were made up of 6 rowers, each rowing 10 minutes each hour for 12 hours. 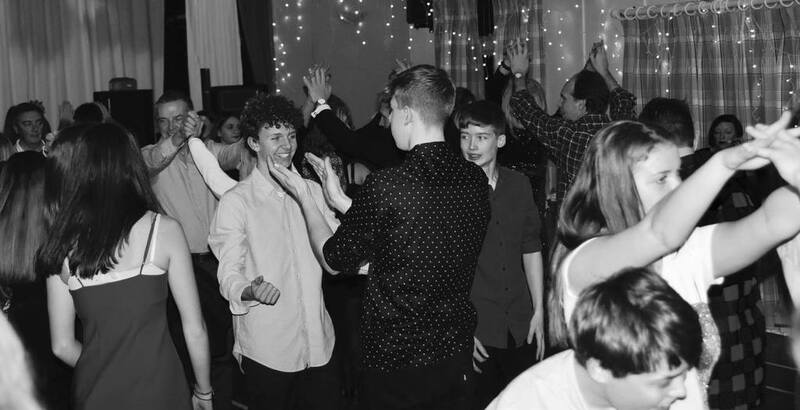 The party atmosphere continued into the early hours until tiredness and fatigue took hold. But with stunning tenancy, resilience and sheer perseverance the Overnight Squad of 39 Juniors, 6 Students, 6 Adult/Coaches Team completed 1,275,229 metres. This was an achievement that everyone who took part in can be truly proud. We have also had fantastic sponsorship support, with over £6,500 raised so far for our fundraising campaign. This Challenge has brought different age groups/experience of BBRC together, promoting a great rowing community atmosphere. This is an extract from an article published in British Rowing E newletter. Click here for the full text. 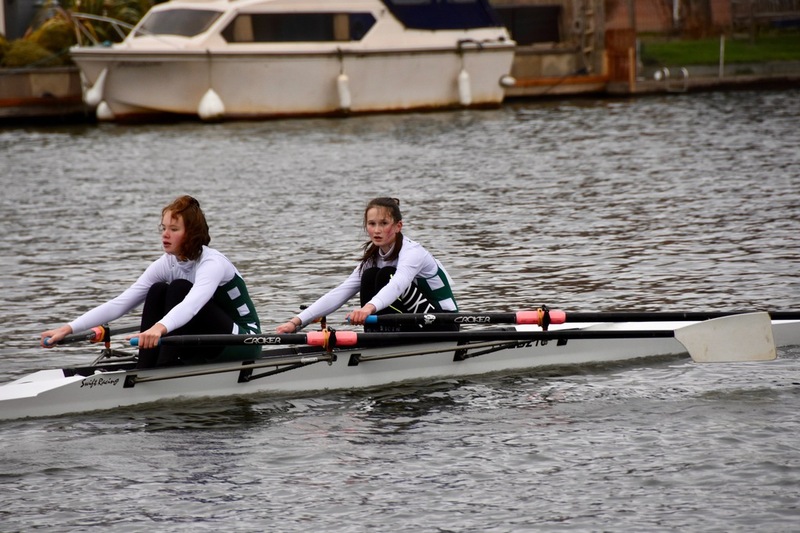 WJ14 4X+ Sophie, Ottilie, Amelia, Saskia, cox Jess, who did a fantastic time of 11.47. This was a fantastic result beating the only other WJ14 by 3 minutes. 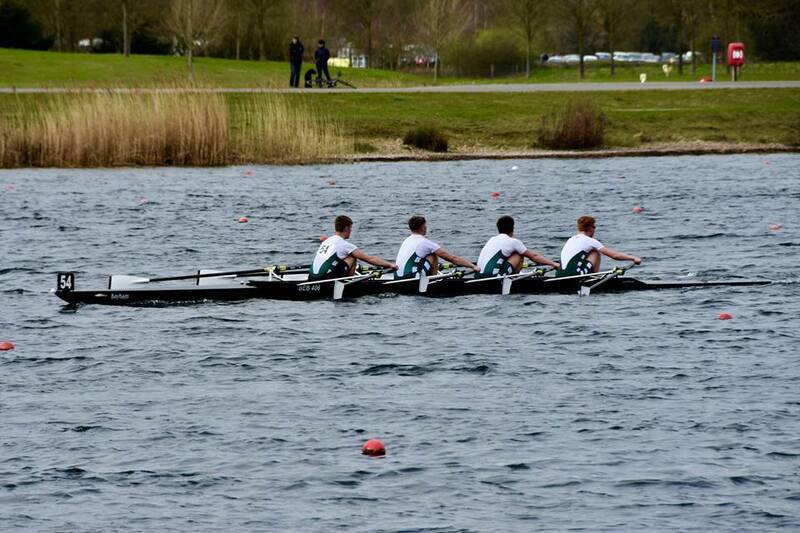 J18 4X- finishing 11th overall, BBRC's fastest crew. Alex, Alex, Ted, Tim. 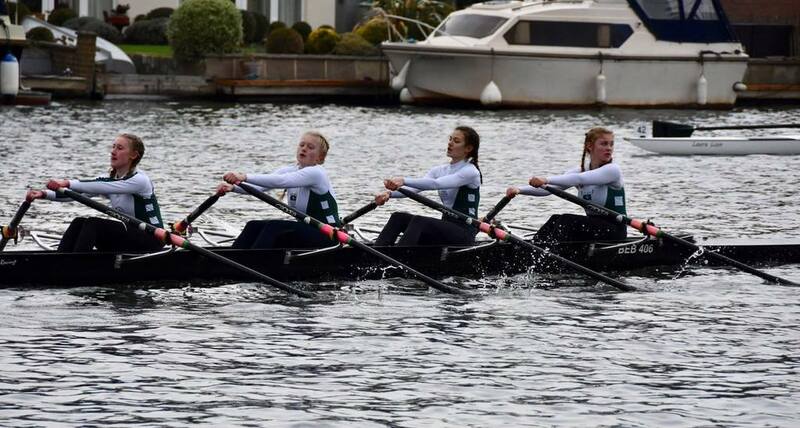 WJ16 4X- were our fastest girls crew: Tess, Sarah, Rosie, Susi. Well done all our 18 crews entered, lots to build on. Well done Annie, Richard, Ro, Chris, placed 2nd in MxMast E 4X- in a time of 21.15. 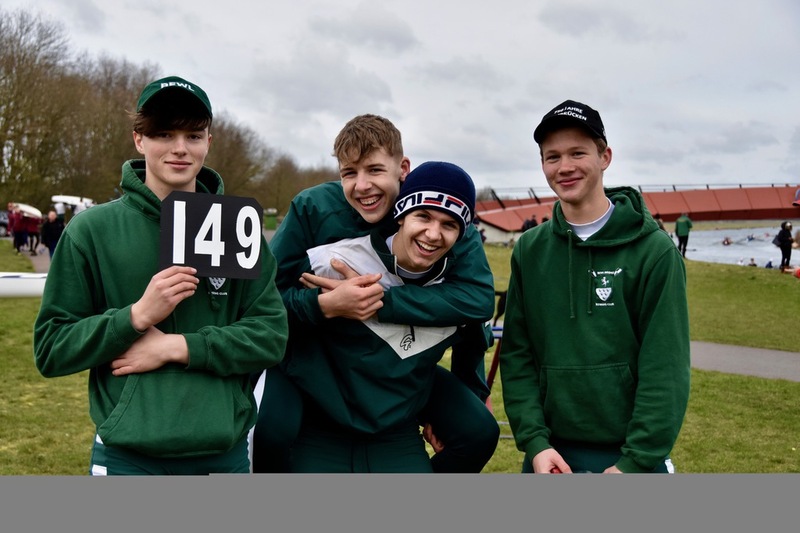 Congratulations to Bewl winners Hagen, Rod, Ben, Angus in Mast D 4X- in a time of 19.23. 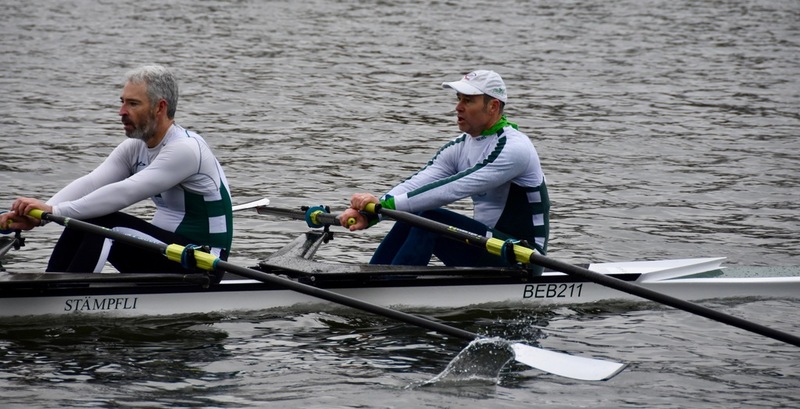 And a big Congratulations to Colin and Roger winning the H4x in a Bewl/MAA composite crew. Fantastic results. 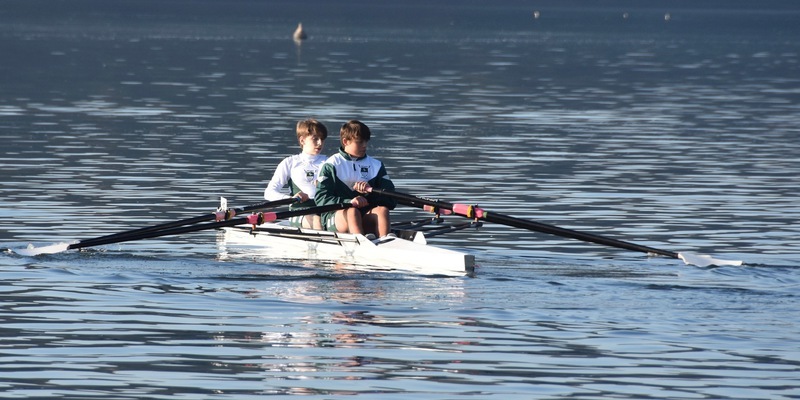 BBRC had 2 Junior crews entered into the Four's Head. 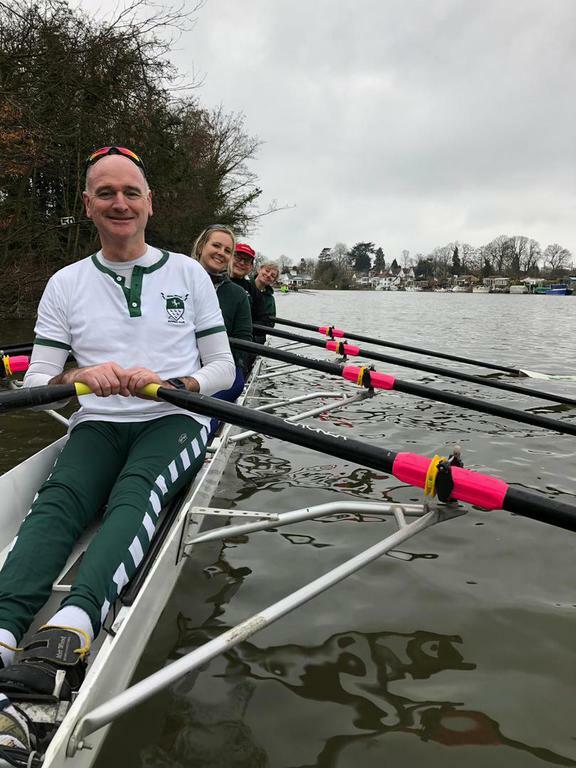 This was a fantastic experience for our 2 crews racing down the 4 1/4 miles Fours Head, from Chiswick to Putney, navigating the Thames. Our crews started adjacent, Numbers 229 and 230. 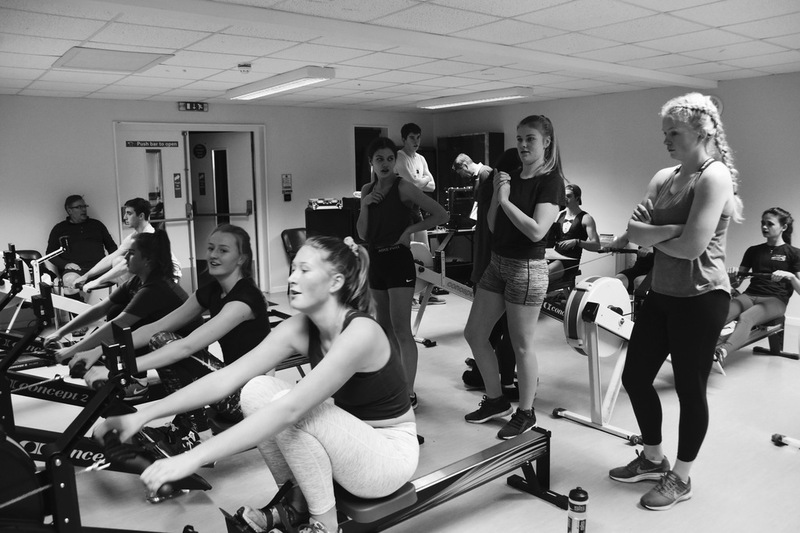 Our juniors showed competitive rowing, racing against each other for the first half. The conditions were challenging at times with a strong current and flying tale wind. Lots of experience gained, well done. 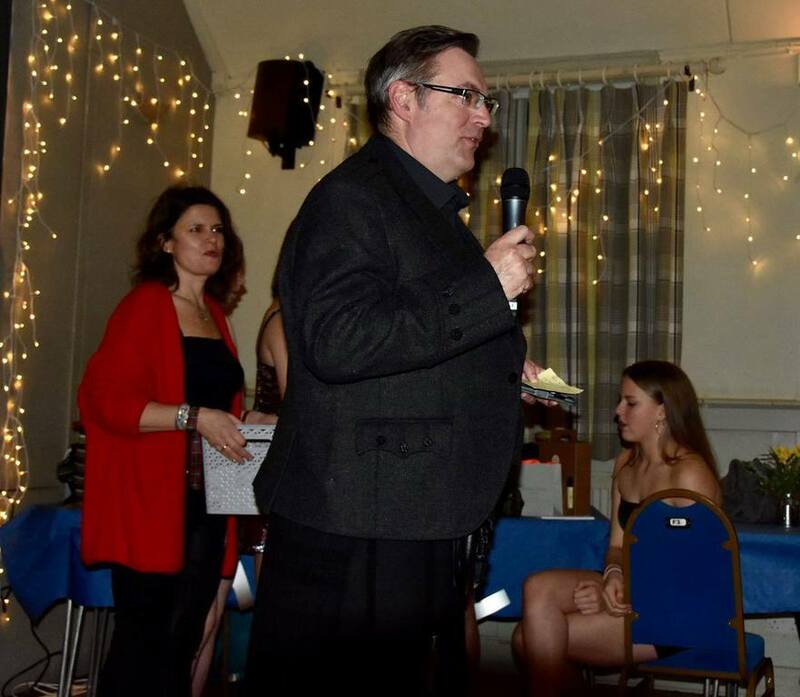 A big thank you to Rob and Christa for organising the event and the catering. We all had a lovely, lovely day. The weather was warm, calm with a slight tale wind. 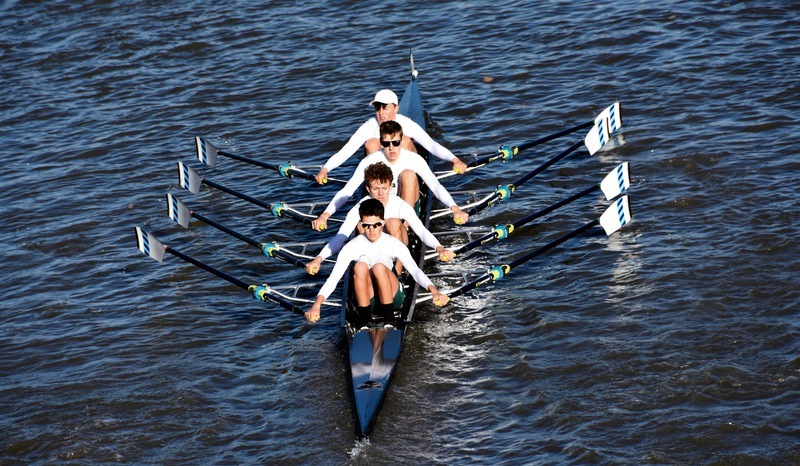 A course record was set by our J18 4X- boys: Thomas, Henry, Theo, Tim, time of 14.28.4. Fantastic, well done boys. Thank you also to all the helpers in the launches, timekeepers, cake bakers. A special mention to our new LTR's from April showing great potential, racing over the course in doubles and quads, a big well done. The decision by organisers Barnes Bridge Ladies RC to run the Pairs Head was put off until two hours before the race due to adverse weather conditions and despite pouring rain 411 doubles and pairs took to the water, racing on the ebb tide from Chiswick Bridge down to Harrods Wall just beyond Hammersmith Bridge, a distance of approx 4.5km. Bewl entered six doubles on the day with some good overall results including a win for Sarah and Jonathan who came first in Mx Mas D/E (also coming first in the overall Mx Mas B/C, D/E). It was pretty rough from the Northerly wind against the tide that made it challenging between Barnes Bridge and Chiswick Eyot, but was calmer elsewhere. Although we also all got a good soaking, it was an enjoyable day but it was sadly too wet to get the usual group photo as everyone rushed to get dry after racing. Thanks to Hagen for towing and to Angus and others for the cakes. 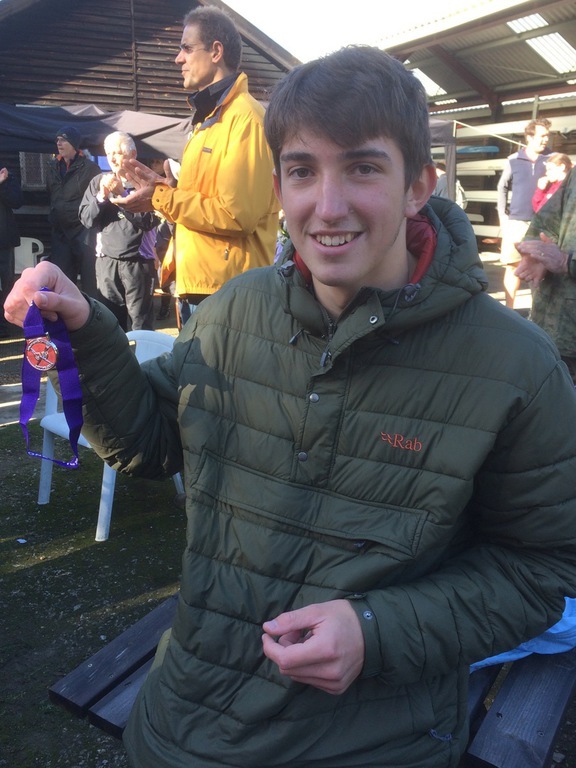 Also, a big congratulations to Ollie who rowed with us over the summer for winning J18 2X with his school Eton. Fantastic result. Another eventful day at Maidstone Head. The rain poured down for divisions 1 & 2, leaving everyone drenched and cold. Divisions 2 & 3 were combined after many clubs abandoned the day. Our juniors rowed fantastically. 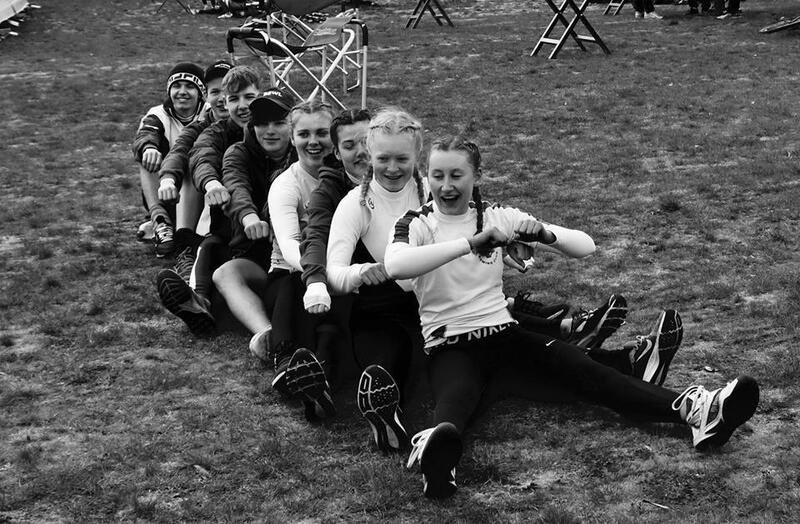 Our 15 LTR juniors from this April, surpassed our expectations and rowed over the course with confidence. A big well done. We had great results: 6 wins. A big thank you to everyone to came along and supported the rowers. And the Aitken mobile for shelter, teas, coffee and bacon butties. 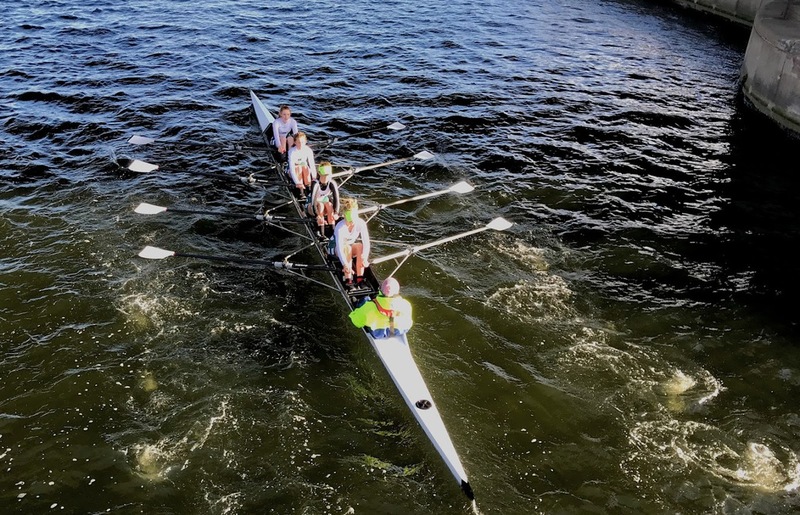 Four scullers from Bewl raced at the Great Ouse Marathon on Sunday 2nd September, a 22k race from Denver in Norfolk to Ely. It was a lovely sunny day, with a modest cross-head wind. A batch of cabin cruisers decided to set out in front of the race for the last few miles, so some interesting water conditions in the later stages of the race. 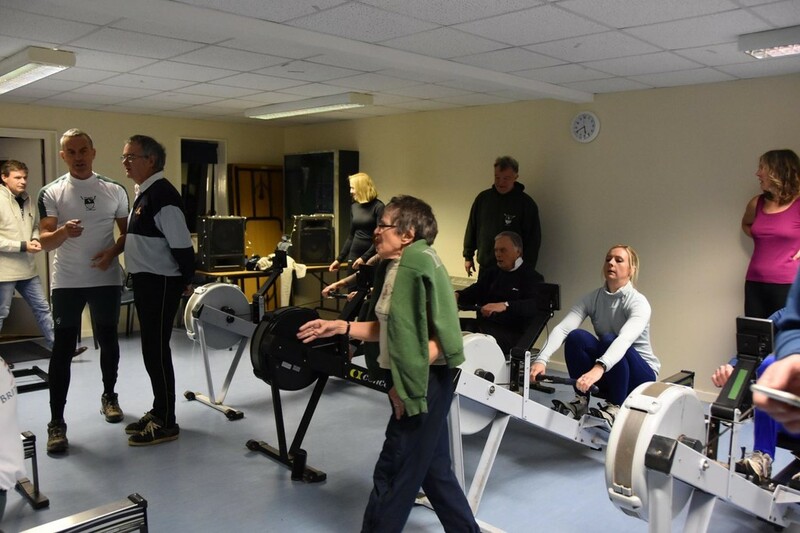 Excellent organisation and welcoming hosts at West Norfolk and Isle of Ely Rowing Clubs. 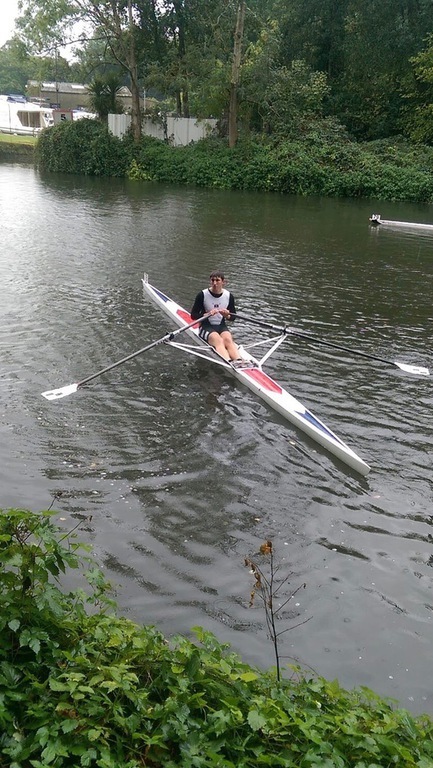 Richard Suthers entered MasG1x in his first competitive sculling race (as opposed to having rowed and cycled in the past). He gained admiring glances at the start for his stocks of provisions that he had in his boat, although he didn't have much time to utilise them, and he finished in a very respectable 2 hours 11 minutes 25 seconds, beating 17 other crews of various shapes and sizes. Rowena Suthers entered WMasF1x, but got bumped up to WMasD1x due to entry numbers. She beat her previous year's time by about 16 minutes, finishing in 2 hours 2 minutes 23 seconds, beating 38 other crews ie singles and larger boats. 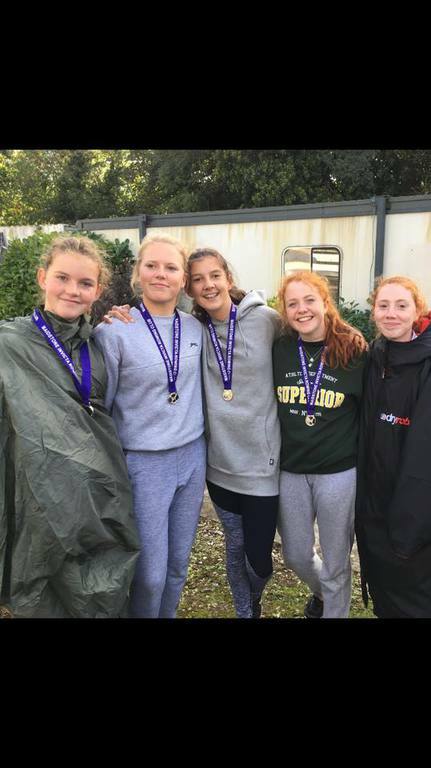 The current rules meant that because she had been bumped up to a different age category, she wasn't eligible for what would have been setting the record for WMasF1x, so an excellent result. Sarah and Jonathan Morris were bumped up MxMasD2x in their double. 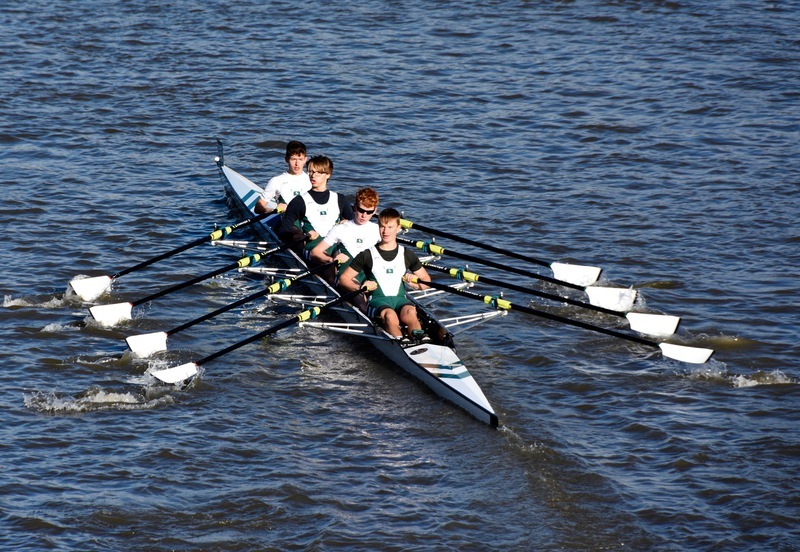 They had a close race with a younger crew from Deben Rowing Club, but won in a time of 1 hour, 37 minutes 51 seconds. 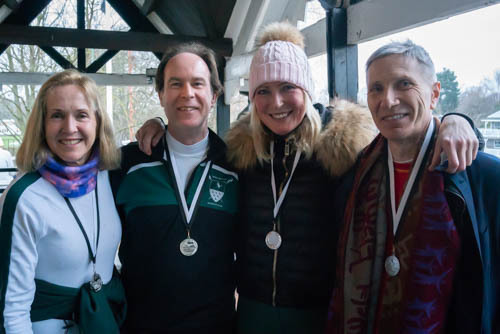 They were the fastest mixed masters crew of any boat size, including the larger boats, and were also 6th overall (all boat sizes and all ages). An excellent day out - and recommended for future years.